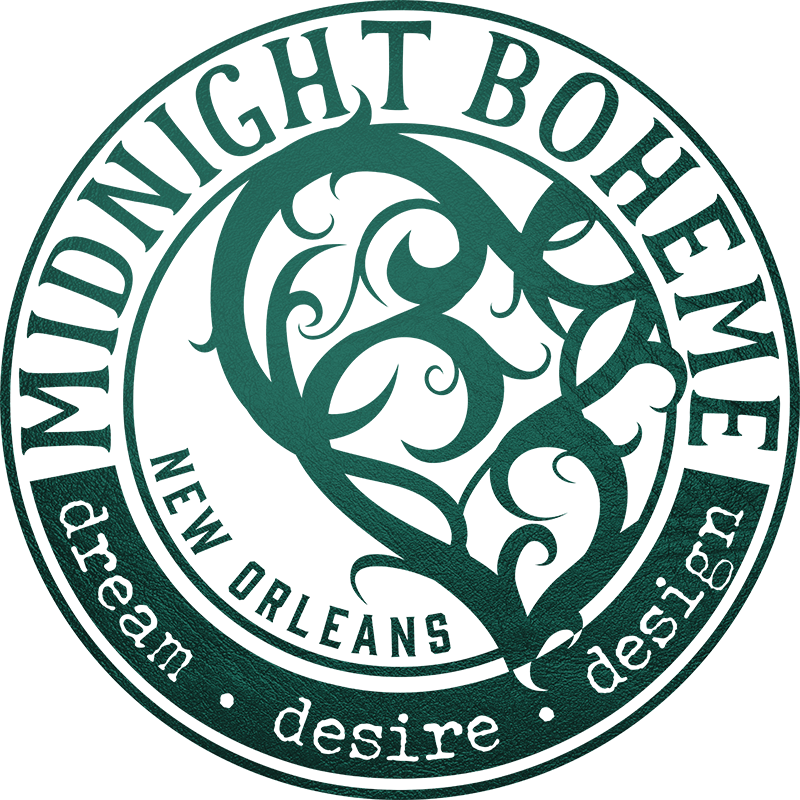 As opposed to a trendy style or design statement, the texture and appearance of New Orleans is like a birthright or an inheritance, not by choice but by condition. The city is an architectural relic. It is not covered in faux finish and trompe-l’œil in order to add design or to make a 200-year-old house look 200 years old. That would be like adding liver spots and wrinkles to the face of a great-great-great-grandparent. The fixer-uppers do not desire to be fixed-up. With its funky patina of New Orleans decay, the rusticity of pre-war ironwork balconies, and the hanging foliage known as “Gardens in the Sky,” photographic memories can be captured on each corner of this antiquated city. There is a poet hidden between each swirling cascade of vine and lace-like iron along the streets of Royal and Chartres. There is a melody wafting from old damask wallpapers that have witnessed the turning centuries inside each handsome home. There is a story to be told, a photo to be taken, a moment in time to be echoed from artist to artist as the city continues to inspire. Along with weathered walls, crumbling plaster, and the textural delicacy of peeling paint, iconic elements in the French Quarter – and even in other parts of the city such as the Garden District – include antebellum cast-iron and wrought iron balconies, gates, and fences so ornate and intricate they are compared to handwoven lace. The iron entanglements seem to be almost embroidered into the architecture along each street and rue, and while subtle features of fernery, baskets, and flowering vines sometimes curtain the edges of grillwork and railing, the outstanding detail of such unique and enchanting characteristics only lend to the city’s eccentricity. As early Creole builders made great use of wrought metal in French and Spanish architecture, there are numerous examples of this lacework throughout the Old City. From the handicraft fence sculpted to look like a corn field gating the Victorian-style Cornstalk Hotel to the unmistakably oxidized cast-iron gate of the Gallier House, it is the famous embellishments of lavish iron-lace galleries on the Pontalba Apartments overlooking Jackson Square that were likely the first to feature cast-iron in the city, circa 1849. But aside from these notable locations, the aesthetic eye discovers hidden gems in the details of ironwork such as tiny welded cherubs, entwined metallic grapevines and cauterized fleur-de-lis in the heraldry on broad verandas, gated porticoes, and cantilevered balconies. Although the Civil War put a stop to the flourishing golden age of cast-iron industries due to manufactures switching production from decorative uses to more utilitarian purposes, today it is honored through the restoration of ironwork that wreathes windows, sheathes pillars, and ensconces garden walls. Structures may bend and bow with the weight of time and age, but the essence of architectural expression does not fade from Île d’Orléans. Iron-railed balconies stretching above banquettes appear so frail and fine that it’s a wonder they do not shatter in hurricane winds. But the elaborate web of winding wrought elements attributes a beautiful élan of quintessential old New Orleans. As if smelted by a blacksmith, the city’s history may boil and burn from time to time, heated to a molten, hand-shaped by fire and force, and prone to rust by weather and age. The city bares all the strength of iron juxtaposed by the delicate quality of lace, both fused and fastened by design and device. At every curve there is an angle, on every smooth surface there is a splinter. New Orleans lingers in an air of both dignity and disgrace, quietly unveiling a world unlike any other.